There’s little more luxurious than leather… It’s the perfect material to add some textural chic to your rooms. 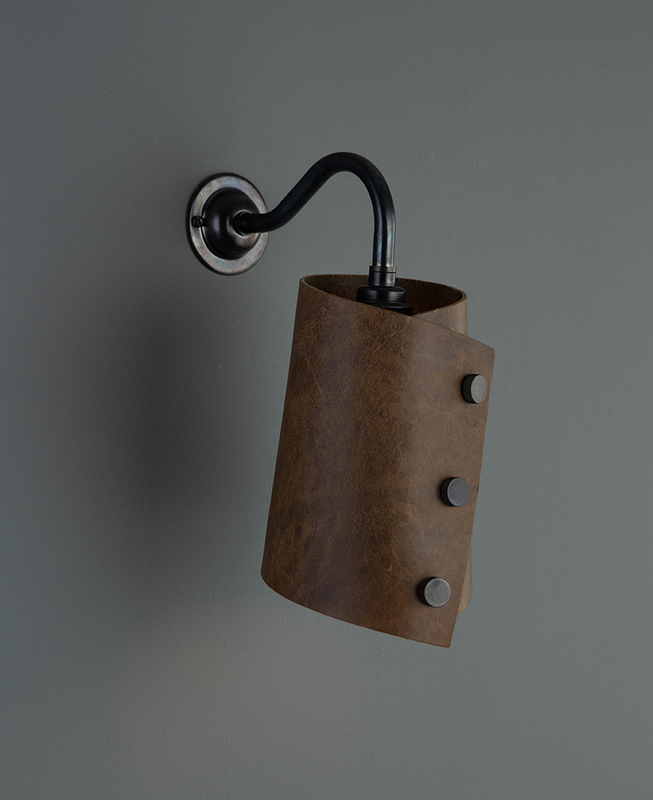 Each of these Cuff leather wall sconces is hand-finished with solid metal knurled knobs – the devil’s in the detail! 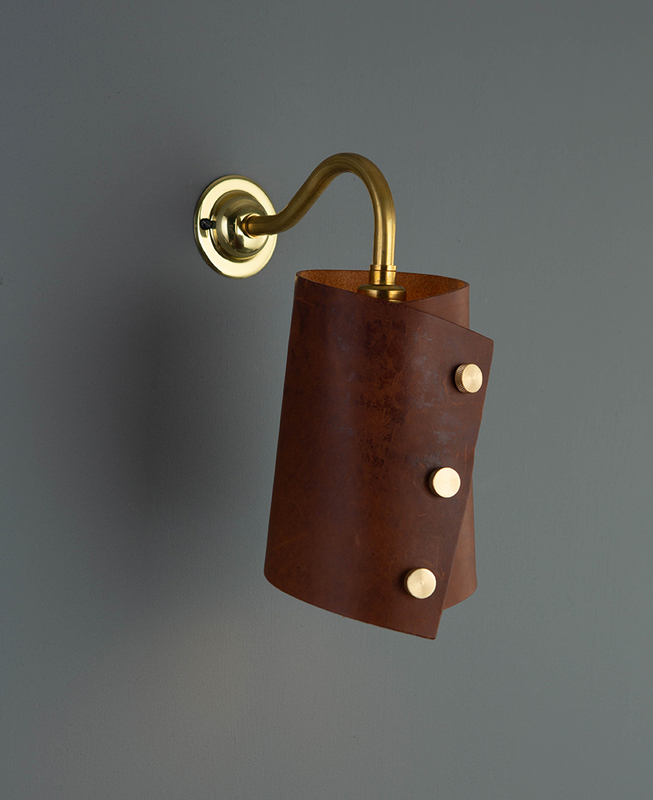 Our leather cuff wall lights are inherently macho. With a supple vegetable tanned leather light shade hand-secured with solid metal knurled studs attached to a matching vintage metal wall fitting, this lamp exudes style. 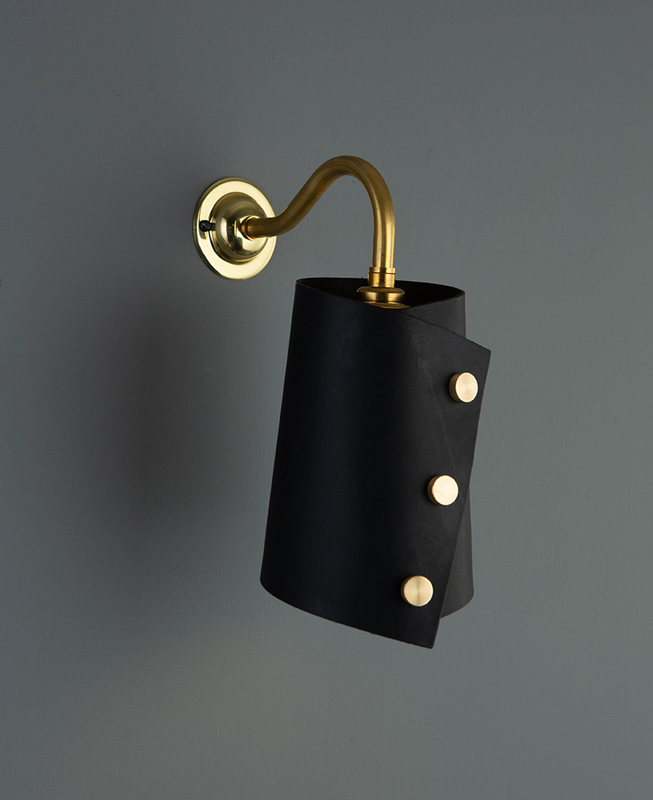 Available in either black, dark tan or light tan with a choice of raw brass or antique black stud fastening, there’s a leather cuff light shade for any interior. They’re a bit like your favourite leather jacket, they’ll work with anything. 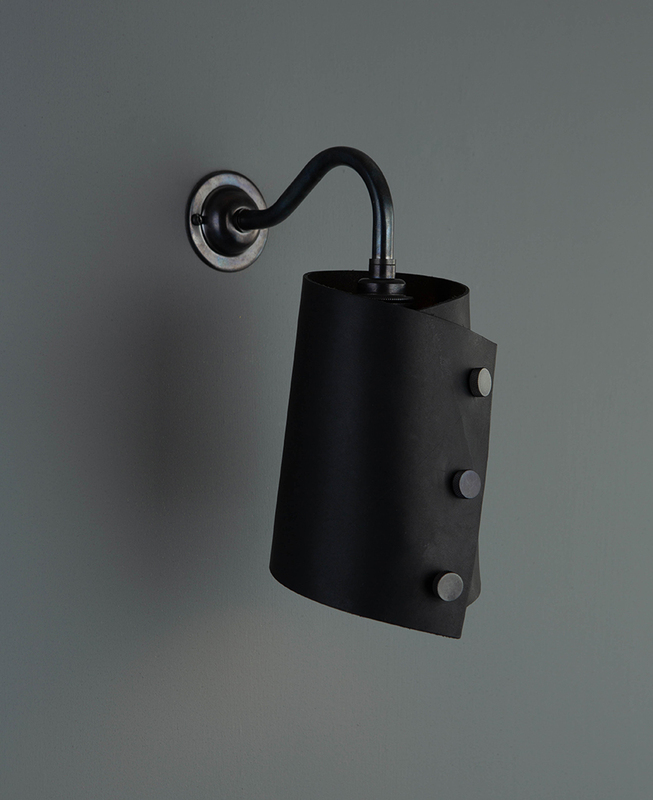 If you’re looking to add a touch of glam to a minimalist space, our black leather shade with coordinating antique black studs and wall mounting is perfect. It’s chic but definitely noticeable. Pair with matching black leather door handles and drawer pulls to complete the look. 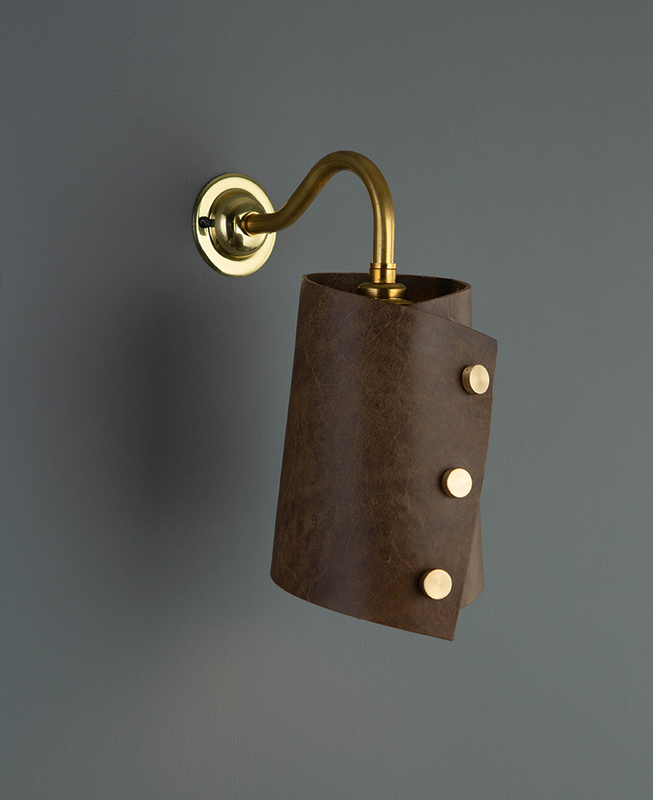 If your space is more of a hybrid between vintage and industrial styles, choose our dark tan with raw brass knobs to add a heritage vibe to your spaces. This supple brown leather cuff looks amazing besides a vintage brown leather sofa, reclaimed wooden floor and retro accessories. The ultimate Brooklyn loft. The electrical fittings for this light will need to be concealed within your wall or, you could use a conduit ceiling rose. 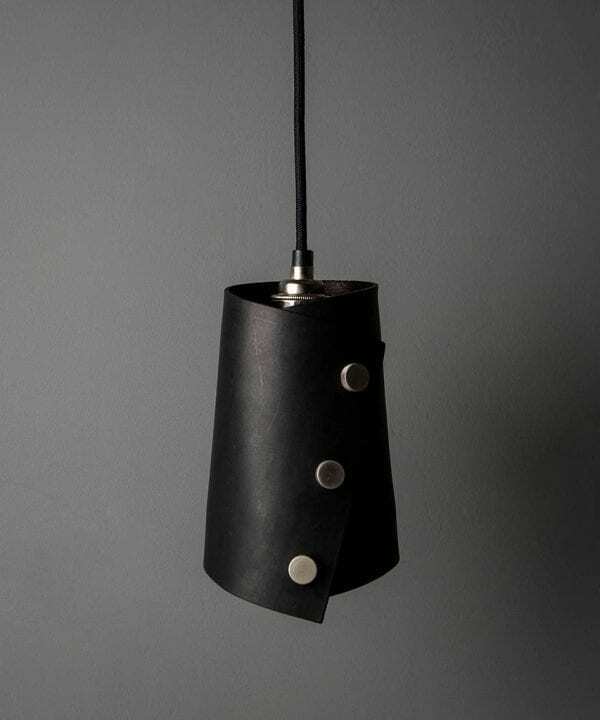 Material: Natural vegetable tanned leather light shade with solid brass studs, steel cage and solid brass wall light. Shade dimensions: H19cm x W13cm Please note that these dimensions are an estimate as each leather wall light is completely unique. 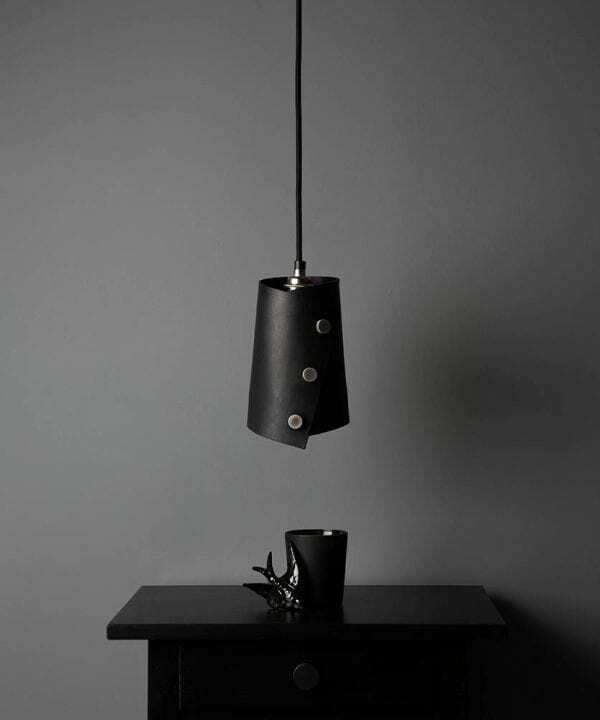 Included: Leather light shade, steel cage, brass wall light, screws & rawl plugs, instructions and connectors.